Experience the extraordinary natural beauty across the five countries of Scandinavia: Denmark, Finland, Iceland, Norway, and Sweden. 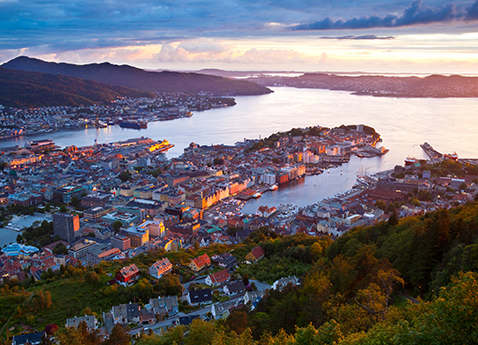 Cruise or vacation in Scandinavia to explore fjords, dense forests, beautiful lakes, dramatic peaks, and natural phenomenon like the Northern Lights, polar nights, and midnight sun. Scandinavia offers incredible culture of food, music, palaces, and museums in its fascinating capital cities. WOW! Can't believe our amazing room upgrade, spa credit and even a late checkout to enjoy the pool before our evening flight home. Dennis J Miller Consulting has won me over!